The capacity from PrimeAsia’s newly-enlarged tannery in Vietnam has increased to six million square feet of finished leather per month. Leather producer PrimeAsia recently celebrated the completion of a four-year expansion project. 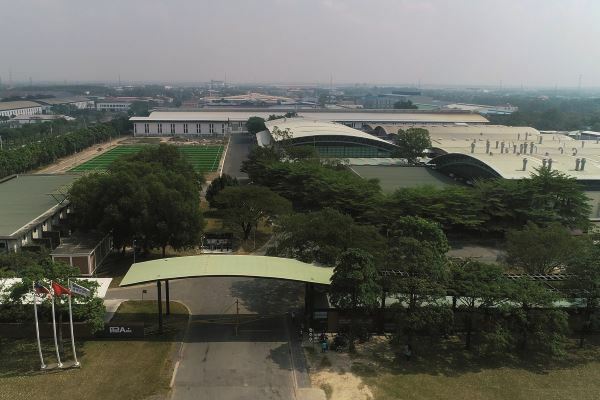 The enlarged facility, located in Ba Ria-Vung Tau province in southern Vietnam, has given PrimeAsia Vietnam a monthly production capacity of six million square feet of finished leather – a total boosted by two million square feet per month compared to before the project started. The company reportedly expects this figure to rise in the near future. According to chief executive Jon Clark, the $40 million (£30.3 million) spent on this expansion represents an investment not just in the company’s own business, but also in the businesses of its customers, partners and suppliers, as well as an investment in PrimeAsia’s own people. He added that Vietnam is a critical supply chain hub for the leather and footwear industries. PrimeAsia began production in Ba Ria-Vung Tau 16 years ago and has so far produced 556 million square feet of leather in this facility. As part of the expansion project, PrimeAsia Vietnam has increased its level of renewable energy from 40 per cent to 65 per cent. All areas of the tannery are said to have been upgraded to feature new splitting machines, re-tanning drums, dryers and spray machines. Other improvements include a wet blue warehouse, a chemical facility and an expansion of the SATRA-accredited test laboratory. An enhanced wastewater treatment plant has been built, with a reedbed and state-of-the-art sludge dryer, the power for which is produced by a new 5,000m2 solar hot water plant. This also provides the company’s hot water needs. This article was originally published on page 3 of the April 2019 issue of SATRA Bulletin.